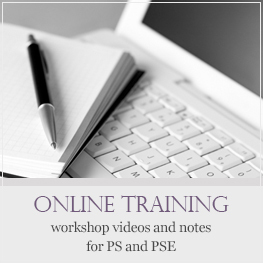 During one of my webinars, Portrait Editing 101, a step I showed was whitening teeth. 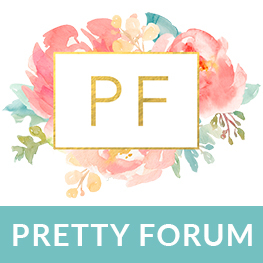 After the webinar I realized that I had never written a dedicated how-to tutorial on whitening teeth, so here goes. 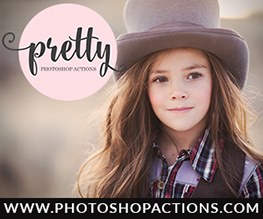 Whitening teeth in Photoshop and PSE is so very easy, and it is a great way to practice using masks. 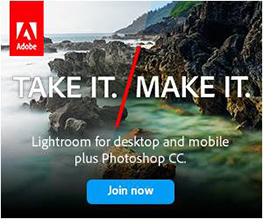 This tutorial was written using PSE 11, but the steps are exactly the same for all versions of Photoshop and Photoshop Elements. 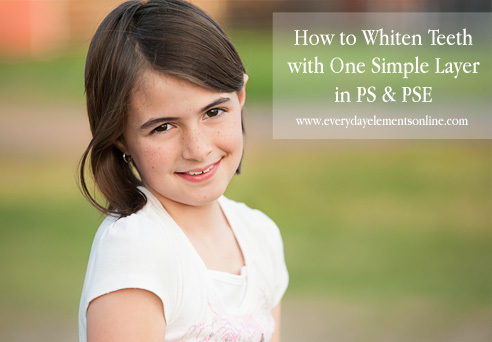 Before you dive in and start whitening, I recommend fixing the exposure and white balance. 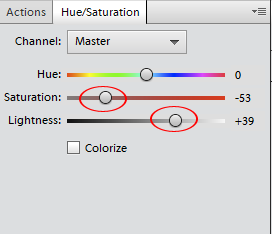 In other words, make the image brighter or darker, as needed, and fix the color temperature to look natural (meaning not too blue or not too yellow/orange). 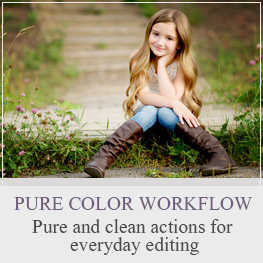 After adjusting exposure and white balance (hopefully with a Levels adjustment), you will create a Hue & Saturation adjustment layer. When the panel opens up you will see the “master” hue, saturation and lightness. Click on the saturation slider and pull it to the left, down to like -50. 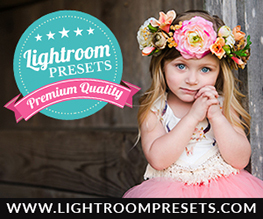 Then click on the lightness slider and pull it to the right, to around +30 or more. Your image will be hazy, with very little color. This is because the adjustment was global, meaning it applied the change to the entire image. We need to make small, local changes to just the teeth. To do this, all we need to do is invert the mask. 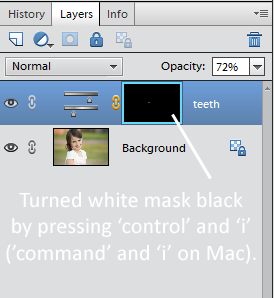 To invert the white mask click on the white mask next to the Hue/Sat icon in your layers panel (this is to make sure the mask is selected). Then press ‘control’ and ‘i’ on your keyboard (for Mac’s it is ‘command’ and ‘i’). Your white mask will turn black and the hazy, colorless image will turn back to full color. 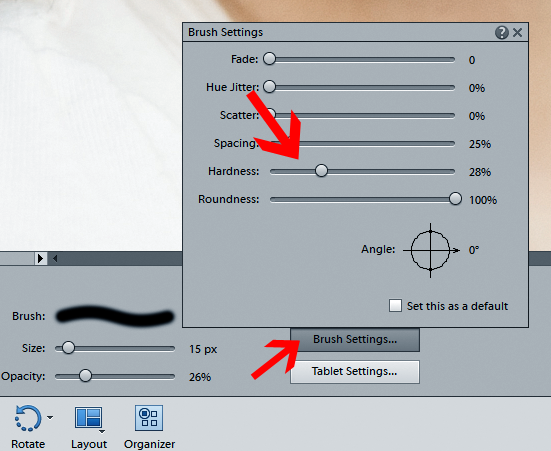 Activate your brush tool (‘b’ on your keyboard), make sure it is a soft, round, black brush. If you are not sure how to do that, read the brush tutorial I did last year. Since the teeth are very small in relation to the rest of the image, you may need to make your brush less soft (i.e. more hard). You can do this by going into the brush settings and increasing the hardness slider. Below is a short video tutorial, illustrating the steps listed above. I am trying to learn layers. I have just finished reading about layers and mask, and enjoyed teeth whiting. I take a lot of pictures, 10,000 and counting. I have used PS, I started with 3 and I am using 12 and 13 today. I really enjoy your tutorials and have purchased the one on layers. I have not used layers yet. I hope to soon. I enjoy the tutorials and will keep on trying. Thanks for your help!